Many fine golf courses are home to respected golf academies. Seldom will you find an academy and a course that join forces as well as River Pines and its Mike Perpich-run Teaching Center. 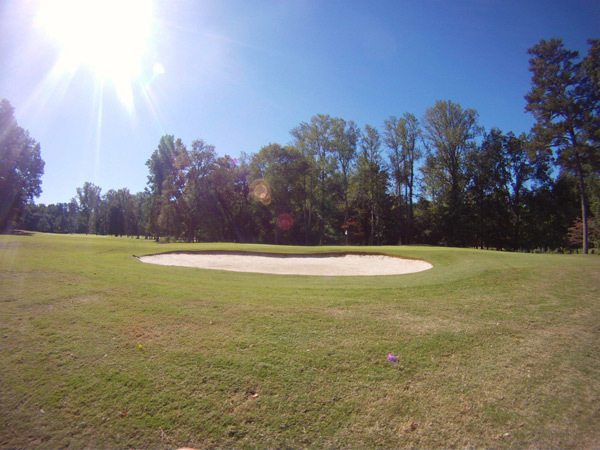 Named the 2010 Golf Course of the Year in Georgia by a national course-owners association, RiverPines was built by childhood friends Roger Miers and the late Toby Chapin. Working off a business plan that was notably ahead of its time, the owners knew from the start that a full-time, dedicated teaching specialist would be part of their appeal to area golfers. In the 2010 magazine article recognizing the club's award, Roger gave this statement: "There are no employees here, just team members. We work extremely hard developing a team concept so that every person who sets foot on this beautiful 186-acre piece of land feels like this is their club." He made a telling comment about RiverPInes staff people, from the golf shop to the grill to the practice complex to the crew out on the greens: " Our full-time and part-time team members don't worry about departmental boundaries," Roger explained. "We help each other wherever and whenever the need arises." Mike Perpich immediately found a home when he arrived in 1999. Mike's students are enthusiastic about playing the Denis Griffiths-designed championship course and the 9-hole par-3 course also Griffiths-designed. Likewise, the regular RiverPines player is reassured knowing world-class instruction from one of America's very top teaching professionals is steps away at the Learning Center.